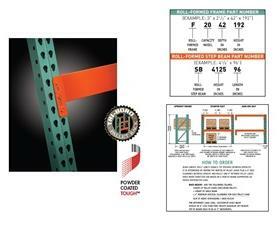 For use with Tri-Boro Pallet Rack Systems. Single Rib column design and return bends on all frame members add to strength and rigidity. Interchanges with most “Tear Drop” style pallet racks. 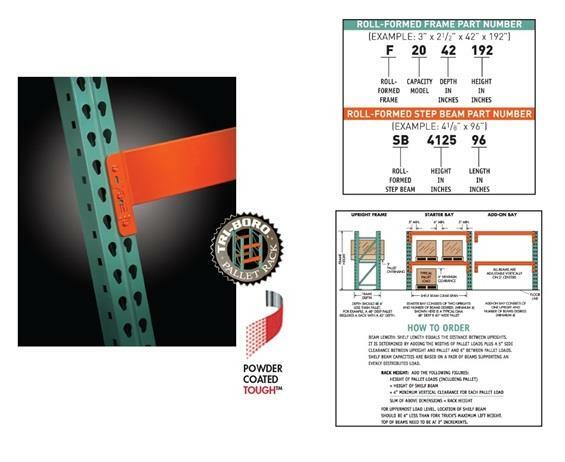 One-piece tube seamed step beams have no exposed welds, which can cause pallet hang-ups. Self-engaging integral beam connector safety locks are factory installed and replaceable. Powder coat baked finish is durable and scratch resistant. Beams are Signal Orange in color. FOB Shipping Point. 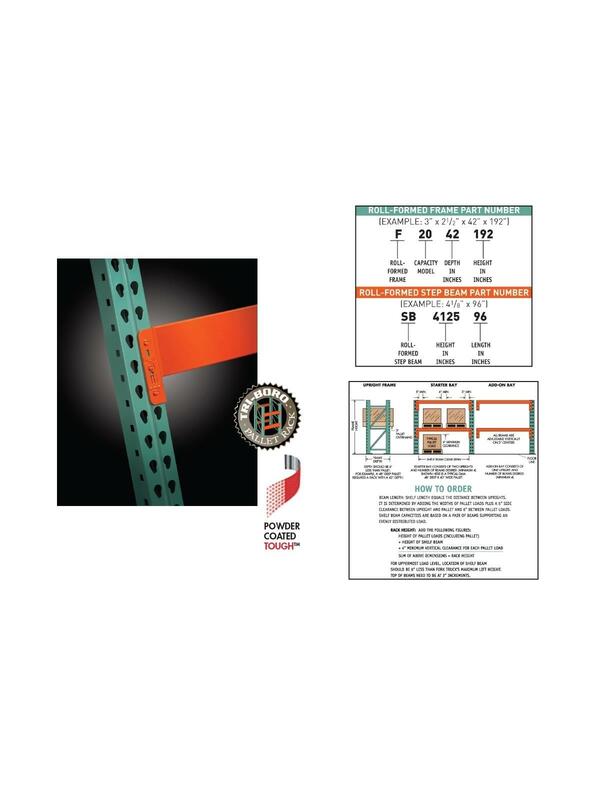 See Related Items tab for Tri-Boro Pallet Racks - Frames and Tri-Boro Pallet Racks - Accessories. W x L 2-1/2 x 48" 2-1/2 x 96" 3-1/2 x 48" 3-1/2 x 60" 3-1/2 x 72" 3-1/2 x 96" 4-1/8 x 108" 4-1/8 x 48" 4-1/8 x 96" 5-1/8 x 108" 5-1/8 x 120" 5-1/8 x 144" 5-1/8 x 96" 6 x 120" 6 x 144"